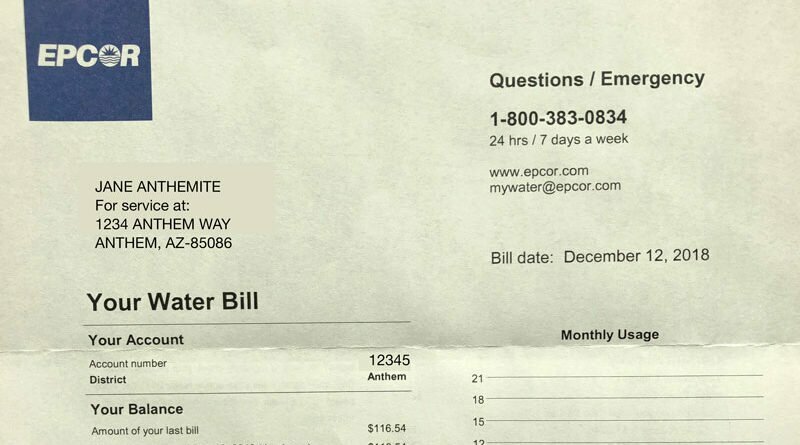 A long-running set of proposals for when and how much to change rates for EPCOR customers across 11 districts in Arizona, including the east side of Anthem, will likely be decided at the next meeting of the Arizona Corporation Commission, Friday, Jan. 25. The decision will determine if Anthem’s rates ultimately go up, down or stay roughly the same. Anthem water rates last increased in 2013 based on a 2011 decision that was based on an analysis of 2008 rates, explains EPCOR spokesperson Rebecca Stenholm. SERIOUSLY. DON’T BE LEFT OUT!